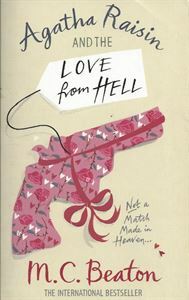 Love, like hell, is a four-letter word for Agatha . . .
No happily ever after for her! Recently married to neighbour James Lacey, Agatha quickly finds that love is not all it's cracked up to be - soon the newly-weds are living in separate cottages and accusing each other of infidelity. Then, after a fight down the local pub, James vanishes - a bloodstain the only clue to his fate. Naturally, Agatha is Suspect Number One. Determined to clear her name - and find her husband - Agatha begins her investigation and promptly discovers a murdered mistress . . .